Tiny hands would be very helpful if you were a jeweler! My hands were not made for this tiny stuff but I was coerced. All that is left to do is drill the holes for the part that goes through your ear. If there are any jewelers looking at this – give me a break. I am more of a ham-fist, better suited for blacksmithing and making fishing lures than jewelry. I am impressed with all you folks that can make tiny things. 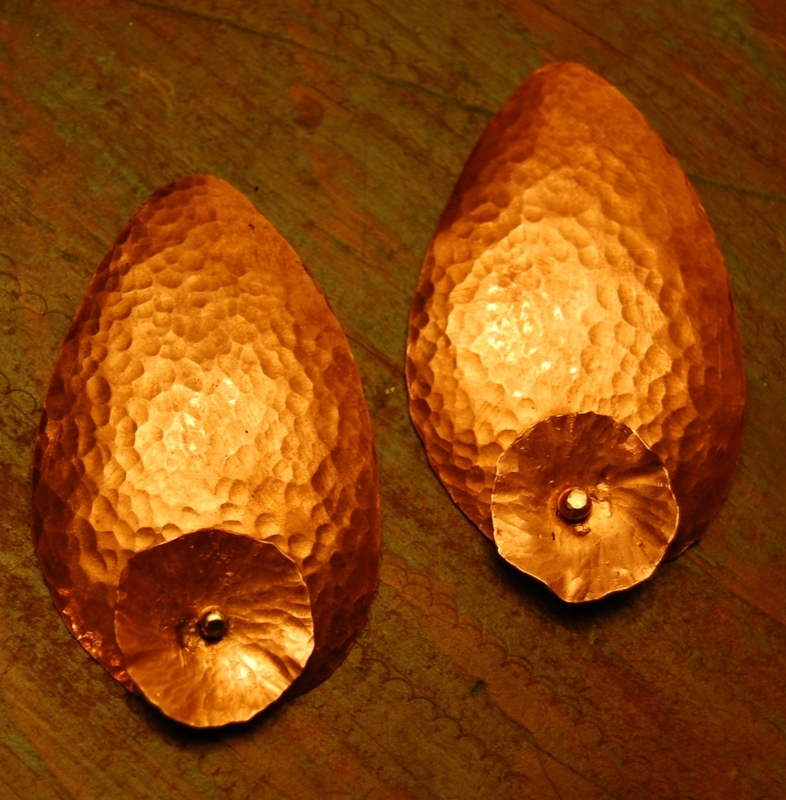 This entry was posted on August 4, 2010 at 3:43 am and is filed under Forging, jewelry, metalwork, Raising Copper. You can follow any responses to this entry through the RSS 2.0 feed. You can leave a response, or trackback from your own site.